At the end of the fairy tale, the cursed woman finds her magician. He’s still human, but just barely; his body is huge and monstrous, a warrior-bird collapsing beneath his own weight, weaponized for his country’s war. The woman pushes the magician’s wings aside. She finds his face, scaled with the spines of feathers. There’s still time. The magician lost his heart. Years ago, as a child. Now, he needs it and the woman has found it. She presses the weak, flickering light into his chest. This is a fairy tale. His body accepts his heart. The magician is human again, no longer feathered, his back no longer winged. Exhausted, he complains about the new weight in his body. “A heart is a heavy burden,” the woman tells him. Their world is at war, but it’s nearly over. 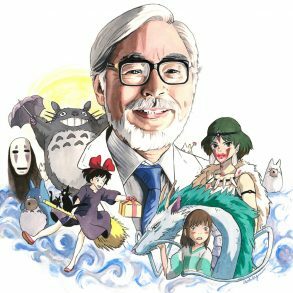 In Howl’s Moving Castle, Hayao Miyazaki’s 2004 film, bodily curses abound: a heartless magician, a prematurely aged woman, a scarecrowed prince, a melted witch. In this world, you can be betrayed by your body as easily as you can betray it. When the story begins, the magician, Howl, has deliberately isolated himself. He lives in an ugly, utilitarian castle he self-fashioned. Its articulated pieces rattle on steel legs as it wanders through the countryside. A chimney huffs smoke. Cranes poke out from the scalp like extra limbs; useless, wooden houses are sewn along seams; the front of the beast-castle is a hungry maw; its motions mimic heavy breathing through exertion. Inside, the castle is dirty. It’s the grime of a home long left untended by its residents: the mercurial Howl, a young apprentice named Markl, and Calcifer, the fire demon that keeps the castle on its legs. Dishes are left piled in the sink. The bathtub is tie-dyed. The fireplace is inches deep in soot. Howl’s purposeful solitude is threatened as his country musters for war. There are ticker tape parades, soldiers marching in sync, men gossiping about guns over newspapers, women flourishing their hats with miniature cannons. It’s not clear what the war is about or why it’s necessary. Motives don’t matter. Battleships hover in the air, no indication which side they’re fighting for. Howl has no intention of getting involved in a larger conflict. He’s too busy hiding from those chasing him: the Witch of the Waste, who wants his heart, and Madame Sulliman, the kingdom’s head sorceress, who wants his power. Perhaps Howl could have stayed hidden, if not for the old woman who came barreling in and elected herself the castle’s new housekeeper. This woman, stooped over with braided gray hair, is Sophie. She’s been cursed by the Witch of the Waste, who was jealous of a split second interaction she’d had with Howl as a young, pretty girl. Sophie accepts her new, degrading body as if it’s the body she has expected her whole life. “Your clothes finally suit you,” the witch tells her. It’s more than that, though. Her whole life, Sophie has felt mousy, quiet, invisible. As an old woman she’s finally, truly, all of these things. 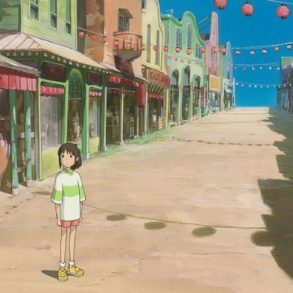 Howl’s Moving Castle, based on a novel by Diana Wynne Jones, is complicated and often over-stuffed, but the meat of it is about the haphazard family that forms in Howl’s castle and the means necessary to keep that family whole. 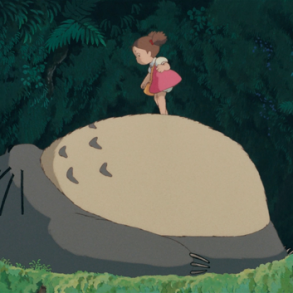 Howl’s self-obsession, however, isn’t simply vanity: it’s self-protection. The more beautiful he is, the safer he is, the further he is from those monsters of war. Howl’s narcissism is his armor. Sophie’s presence begins to soften Howl. She’s exacting. She calls him a coward when he’s being a coward and a child when he throws his fits. She sees beneath his flourishes of hair, his jester jackets, his magic. The more she demands, the younger she seems; her youthful, beautiful self begins to emerge as she finds herself feeling more at home in Howl’s castle. Howl may not have a heart, but he begins to love her. He wants to protect her and their small, weird family. But by protecting them, by becoming more human, Howl threatens his own humanity. 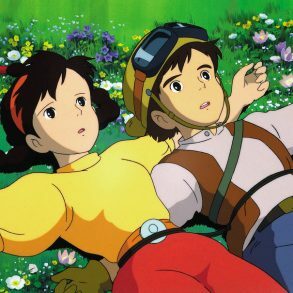 Howl and Sophie both spend the bulk of the movie refusing the bodies that house them. Howl’s powers give him the ability to help in ways few others have; he refuses them; he hides. He wants nothing to do with the war, until he has to fight it off just to keep his castle mantled. Sophie is convinced she is too small, too mousy, too nothing; it’s not until she’s given a body that reflects these qualities that she realizes that isn’t who she is and that, in fact, she’s already this story’s heroine. It’s not until Howl and Sophie give into their stories, their part in this fairy tale, that they’re able to come out on the other side. Only by giving their bodies over, do they find their way back into their skin. As they barrel forward, Howl and Sophie’s appearances shift more and more frequently, according to their mood and their surroundings. As Howl gives himself over to his power, his skin prickles with feathers and flight. As Sophie allows herself full participation and full fury, the age in her bones falls away and her younger body returns. Finally, she believes that she deserves her youthful skin and has the self-confidence to reclaim a body she’d thought long gone. She’s young, but for the silver hair that Howl says looks like starlight. With Howl fully ensconced in his part, Sophie steps up for hers. Finally, she’s the hero. She follows a light beam from a ring Howl had given her. It takes her through a doorway, into a black goop, until she lands in a memory. In a flowery field, the night sky capped a deep blue, she watches a young Howl clutch Calcifer to his chest and then pull out his heart. This is the answer she’s been looking for. This is how she saves Howl, his castle, and their family (now expanded to include a debilitated Witch of the Waste and a wheezing dog named Heen). 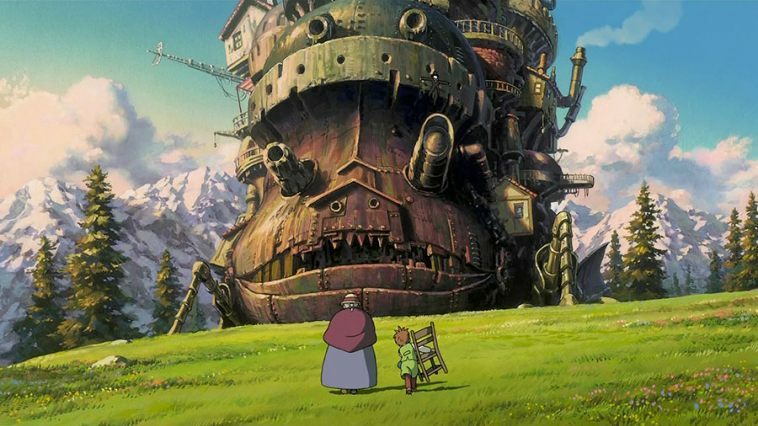 The world of Howl’s Moving Castle, filled with mystery and magic, strips away the truth of a body’s danger. You can hide behind brightly checked clothing or dull it beneath a drab dress, but others will still demand your participation, your pieces. The best defense you have is to use that power for yourself and to fully inhabit your place in the world. In the very beginning, before the war began, before the witch cursed her, Sophie is walking through an alleyway when two soldiers corner her. They make innuendoes. They insist. Howl, wearing his jester’s jacket, his hair bright blonde, escorts her to safety. Sophie doesn’t know it yet, but Howl was following her instructions. He found her in the future. Soon, her hair will look like starlight. 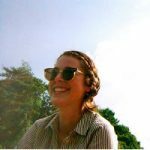 Kelsey Ford is a Senior Editor at Bright Wall/Dark Room. She currently lives in Los Angeles with her two cats and one dead houseplant. Her work has also appeared in Pacific Standard, The Millions, and Storychord.